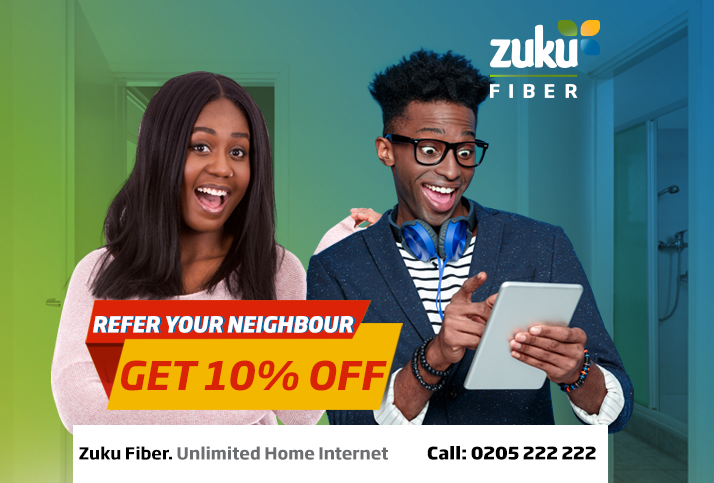 Today ZUKU FIBRE launches the referral campaign for ALL of it’s direct sales to customer teams: Telesales, DSF, Shops and Resellers. This means that any other offer prior to this is discontinued forthwith. We have discontinued the previous referral campaign following reports of several fraudulent cases. We have taken action against these cases and this will continue to do so. This new and more exciting offer gives ALL ACTIVE CUSTOMERS 10% OFF their next bill on ALL PACKAGES for the FIRST NEIGHBOUR they refer and who then gets installed. (To avoid the abuse observed in last referral scheme the existing customer can only win once in 3 months). The Active Customer who qualify will automatically get 10% OFF on their next bill. The referred and newly installed neighbor also gets 10% OFF their next bill. Encourage ALL your customers to give you at least 10 references so that at least one of them buys and they get the 10% offer. Note: The AUDIT team shall be checking to ensure no fraud is committed at any stage of this offer.